A beautiful date at a beautiful restaurant...what could go wrong? 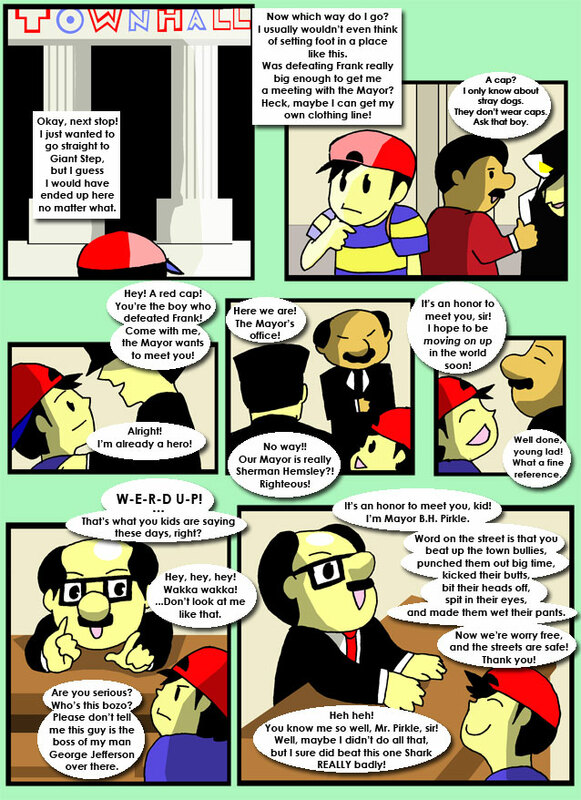 As Ness and Paula experience some time together, Jeff, Poo, and Reginald take up some experience in spying. It's a good thing they live in a world with ducks of questionable sanity, otherwise this would be pretty odd. In the distance...something is coming. What could it possibly be? Crashing in from above, the photo man arrives! Though this would normally mean a lot of frustration and mocking of Ness, Poo sees to things taking a surprising turn. The battle rages on, though it does not seem to be much of a battle. Just what kind of training has the photo man undergone to be so fast?